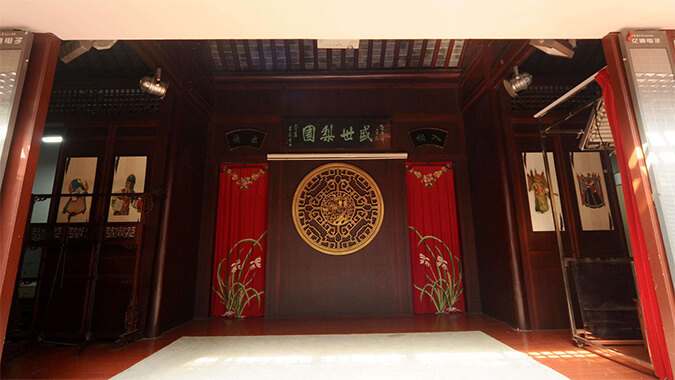 Nanjing Baiju Opera is an old opera in Nanjing area, “Nanjing tune” in the Yuan Dynasty style operas is the old and original one in Baiju Opera with a history of over 700 years formed in the end of the Yuan Dynasty, and it is a talking and singing art form with greatly strong local features. 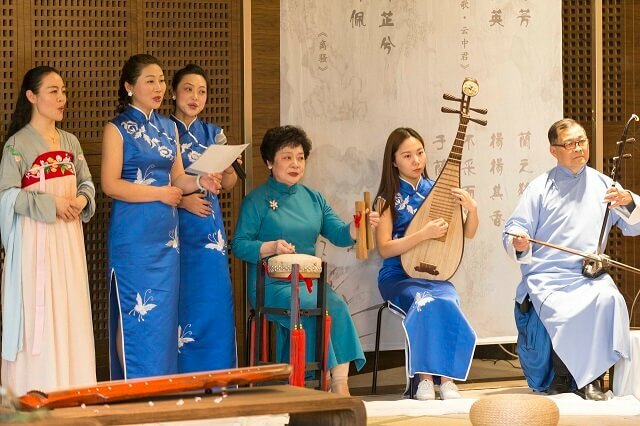 It refers to the most original Southern Nanjing City accent for talking, the folk operas of the Ming and Qing Dynasties and the southern China fold tune for singing, melting the tune sung by Nanjing Qinghuai Geisha; owing to the abundant tunes and very colorful melodies, it is also called as “hundred-tune opera”. 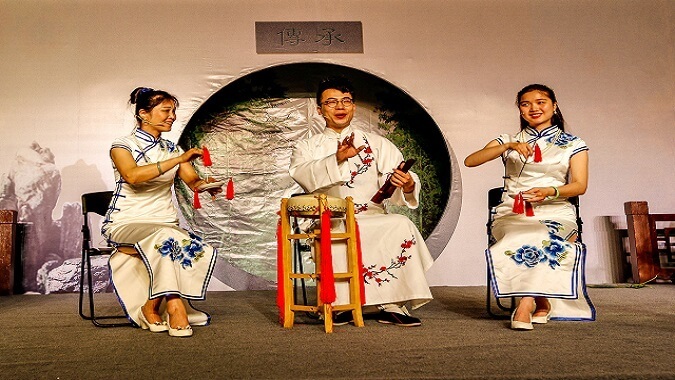 “Baiju”, just as its name implies, as the singers do not get payment, “sing with no purpose”, it is called as “Baiju”; also because it is originated from Nanjing, it is called as “Nanjign Baiju”. Baiju Opera belongs to the cluster talking and singing art, namely it is spoken by the pure Nanjing dialect, while the talking and singing content is very rich and has multiple subjects, reflecting the significant news, social focus events of the society then and the local people’s life subjects. 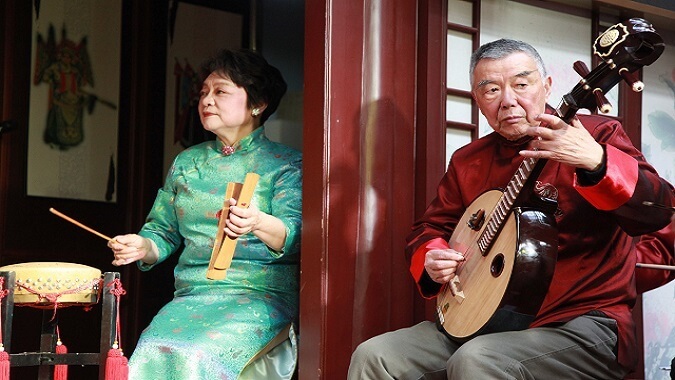 Mostly, the Southern China silk and bamboo musical instruments, such as erhu, pipa, trichord and bamboo flute etc. are used for Baiju accompaniment, the performance of Baiju is very vivid and interesting by matching with such featured beating stage properties as the board drum, plate and the small handle-less wine cup. 2. 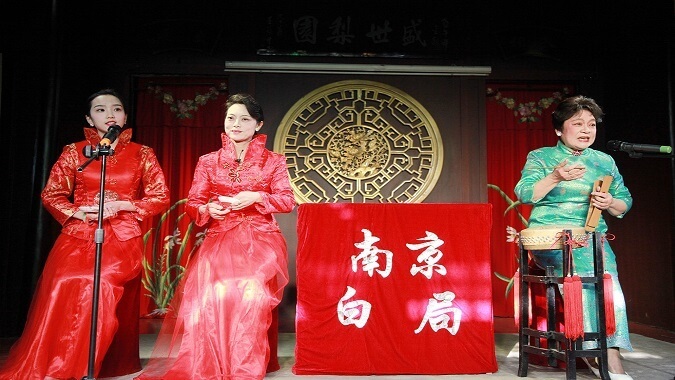 Nanjing Baiju performance is also available in the evening at all restaurants of “Nanjing Food Stall”.